Whether the Samsung Galaxy Note 9 will feature an in-screen fingerprint reader has been the subject of much speculation, with the latest leak claiming that it will indeed have a scanner embedded in the screen. Of course, you can expect another leak next week claiming the contrary, so we won't really know until Samsung launches the much anticipated phone in August, or possibly July. Now Dutch site LetsGoDigital has reported on a patent, applied for by Samsung on 11 August and published today, 29 March, that shows how that in-screen fingerprint reader will work. The issue that Samsung needs to solve is that an in-display fingerprint sensor is smaller than the size of your fingertip and harder to locate than a traditional fingerprint sensor. So, when a you try to unlock the device, the reader needs to scan your fingerprint in sections and guide you as to where to place your finger next. In Samsung's patent, this will be done by graphical guides prompting the phone user to swipe their fingertip so that it is properly scanned. 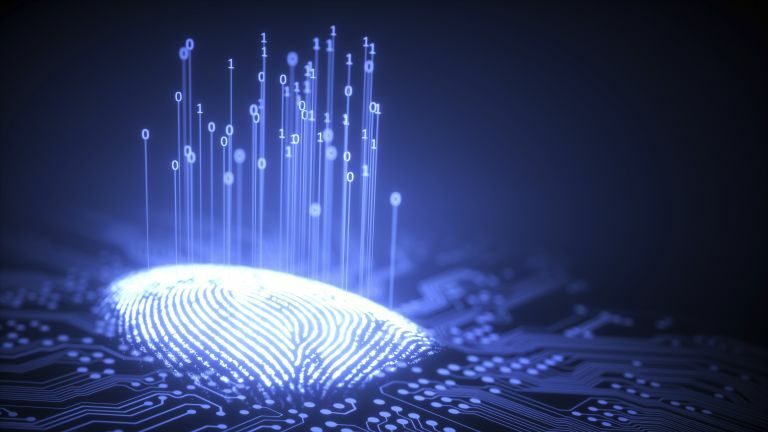 The device will be able to tell which part of your finger has been registered, then use a so-called 'guide', to tell you which direction to swipe in, in order to register the rest of the fingerprint. This could work in four directions, so, depending when you first place your finger, the device could ask you to swipe left, right, up, or down. By adding a graphical indicator guide, the in-display fingerprint scanner is better able to recognise a fingerprint, making it more accurate and reducing annoying failed log-in attempts. It sounds like a smart system, and we can't wait to see if it makes its way into the Note 9 or Samsung Galaxy S10.